Love is in the air! Wait… Love is in Photo Lab! As always there are effects for any taste, character and lifestyle. 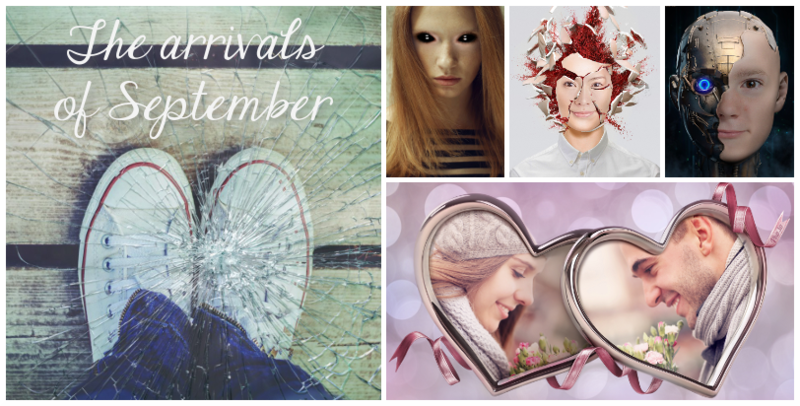 Though looking at the list of September’s arrivals we clearly see that first of all we were busy experimenting with face photo montages. Probably we were carried away a bit, as some ideas may seem overbold. But our risk has been rewarded: now you can come across profile pics on Facebook with these effects applied. Click here to see them all! Every wedding photo shoot ends up producing hundreds of photos, but only a few dozen are edited by the photographer. Meanwhile, the rest of the photos remain unchanged. They’re usually kept on a flash or hard drive and rarely looked at. But what if you could change that? On Funny.Pho.to, you can quickly give forgotten images a new look without needing any special skills. If your wedding day was recent and your photos are not forgotten, our filters and effects will doubtlessly be helpful, too. Simply upload as many pictures as you like and enjoy the results. 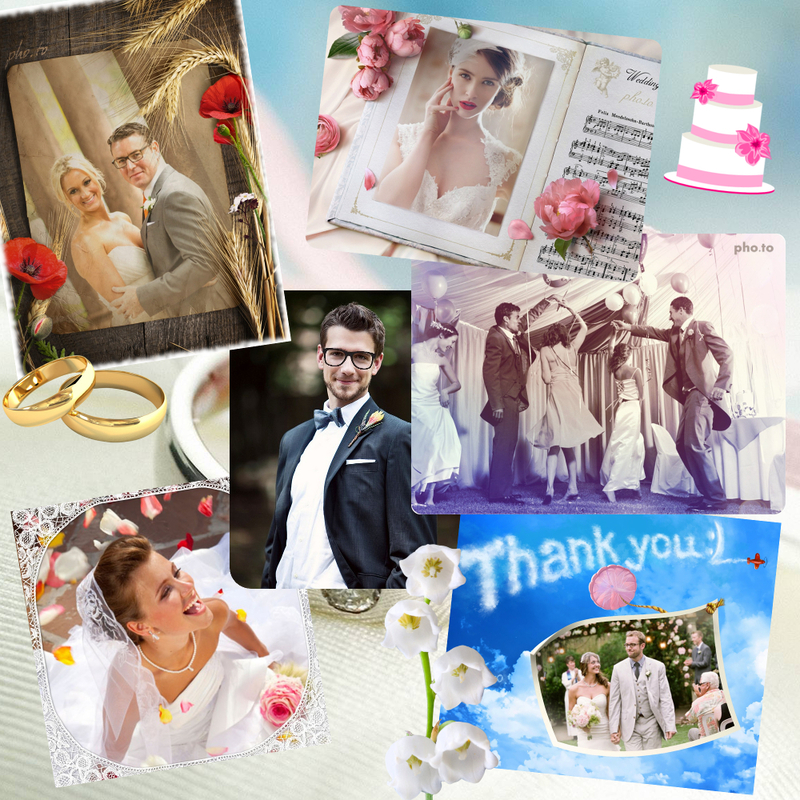 Let’s take a look at what you can do with our wedding photo frames and effects. One day any Android app goes material. And since it happens only once, we think of it as of a major event. 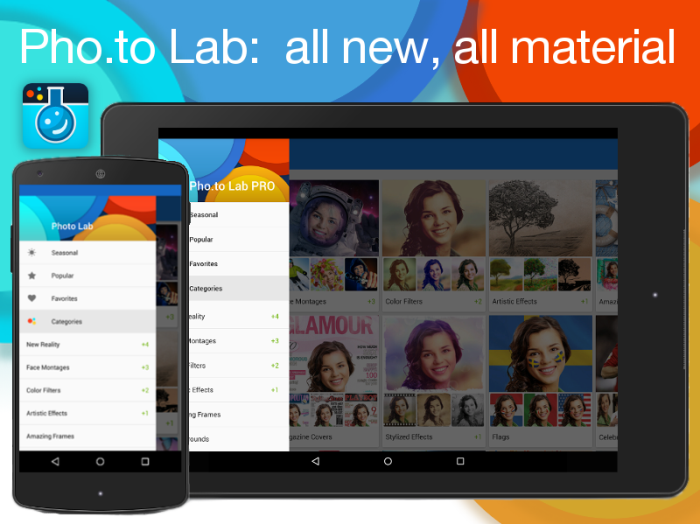 So sit tight, update your Photo Lab (both Free and PRO) on phones and tablets and check what’s new here. Read on, it won’t take long!